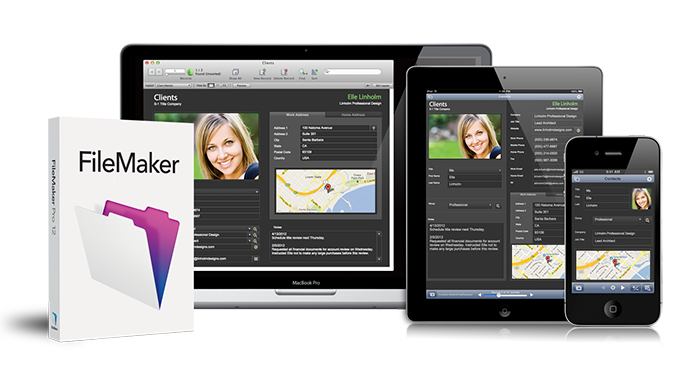 FileMaker is the powerhouse choice for many business operations. 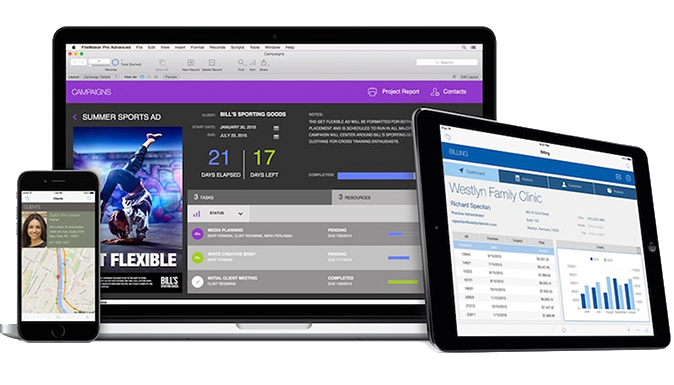 Utilizing FileMaker’s extensive resources, Design Data Concepts will create business management solutions with a custom fit for your specific company. Organize every detail of your business data. What Is a FileMaker Solution? If your organization relies on spreadsheets, paper forms, or multiple applications to get your work done, you might consider using a FileMaker database solution instead. A FileMaker solution can bring scattered information together in one place and make it easy to add to, change, and query the data. At its simplest, a FileMaker solution is made up of a database and a user interface. A database is a collection of information that is organized into files called tables. A user interface lets users view and interact with the information in the database. An Excel spreadsheet is a kind of database called a flat-file database. It organizes its information into a single table. FileMaker uses relational databases. With a relational database, you store data in several tables and then define relationships between the tables. For example, you could store donor information in one table and donation information in another. That way you would only have to enter a donor's information once, whereas in a spreadsheet you would have to enter it for each donation. A relational database prevents duplicate information and is less prone to error than a flat file. What can FileMaker help you accomplish? FileMaker can manage assets, contacts, content management, estimates, event management, expense reports, inventory, orders, invoices, meetings, personnel records, product catalogs, projects, reseaerch projects, tasks, time billing, and customer information for pretty much any size organization. If your organization relies on spreadsheets, paper forms, or multiple applications to get work done, you might consider using a FileMaker database solution instead. It brings all of your scattered information together.